To remove decay and disease thereby diminishing other susceptible sites and safeguard against insect attack. Supports the vitality and vigor of the tree by allowing more light penetration and air flow through the canopy. Helps with the natural form, general appearance and encourages flowering. Helps rejuvenate older fruit trees and gives structure to younger trees. To remove dead, dying, hazardous or weak limbs. To minimize the risk of damage from storms. Did you know that pruning a tree when it is young will require little corrective pruning when it is mature. Of course, it has to be done in an appropriate way so a tree will develop with a strong structure in the form desired. 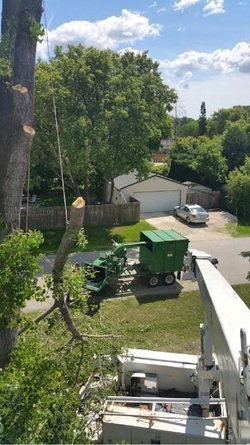 We have the proper tools, know-how and skill for structural pruning of young trees and trimming and pruning of mature trees. There are several important factors that need to be taken into account such as the time of year, the site location, maturity, growth habit, size, species and health of the tree. 1. We will consult with you as to the purpose you have in mind because every cut can potentially alter the growth of the tree. 2. We are skilled in the use proper techniques which is critical. We know how and where to make the cuts. We have the latest tools and know how to use them correctly. Pruning done poorly will damage the tree forever. 3. Trees and people are very different when it comes to wound healing. A wound in a tree remains forever. The tree basically grows around or over the wound. 4. Pruning trees when they are young means small cuts. For that reason it's essential that pruning be done when trees are young. This avoids the need for big cuts in mature trees which cannot close easily. 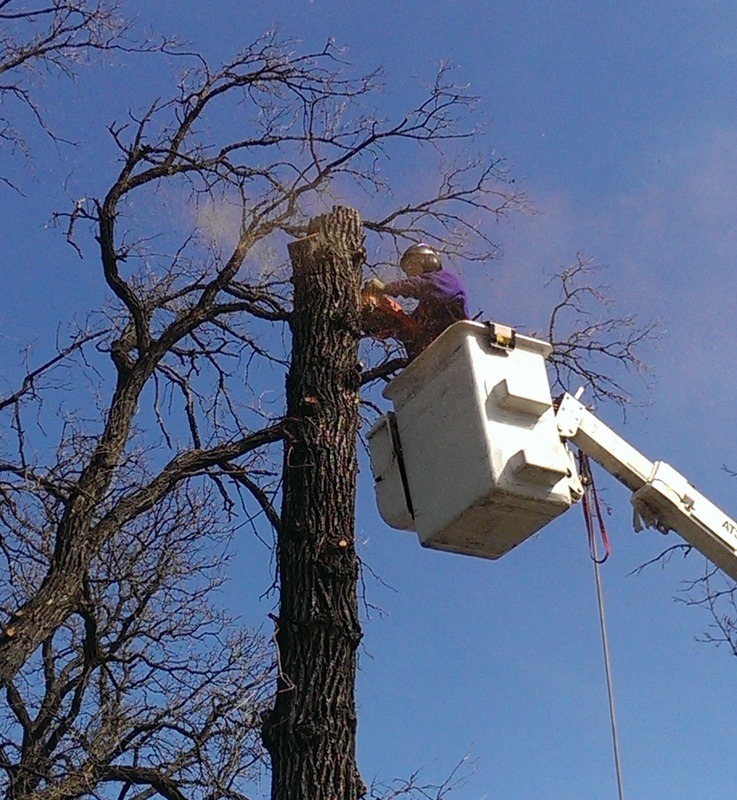 The primary objective is to maintain structurally sound trees over the long term. This applies pre-dominantly to tree species that mature into large specimens. environmental benefits to the community are maintained. Up until recently a great deal of the focus has been with regard to creating elbow room and a pleasing appearances. These customer desires are indeed valid, but reducing the personal injury and property damage risk liability is an equally worthwhile consideration. Trees that are structurally pruned professionally at young age will in effect curb growth on the largest branches thus avoiding the need to prune these branches as the tree matures. Done correctly at a young age means far less associated costs such as clean-up and disposal with the removal of a branch in a mature tree. The bottom line benefit is that expenses over the long run can be minimized by properly pruning young and middle aged trees. In essence, it pays to prune trees for structure when trees are young and the branches are small. Be aware that there are consequences when pruning is done incorrectly. A trained arborist knows exactly which branches to prune and where to cut. Cutting the wrong branches in the wrong spots will most certainly lead to problems. For example, this applies to to trees that have been thinned excessively, lions-tailed, topped or raised.